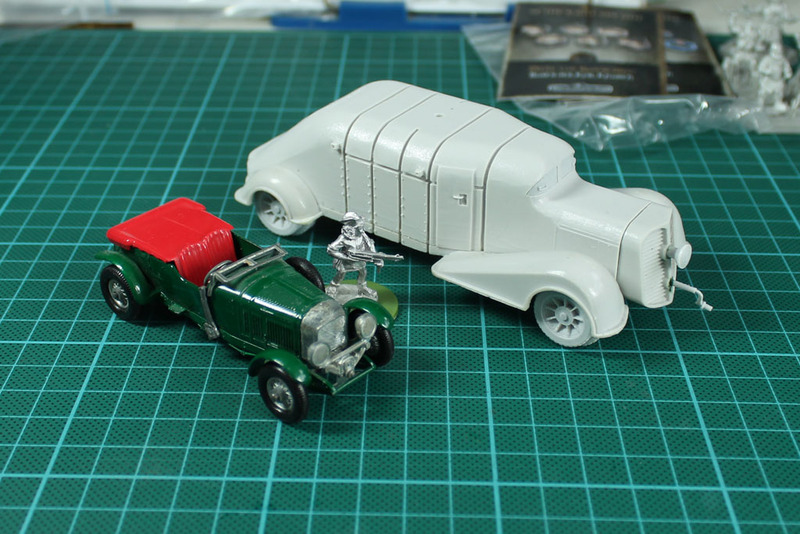 Matchbox started the "Models of Yesteryear" Range in 1956, a larger 1:43 Scale Range made for collectors. 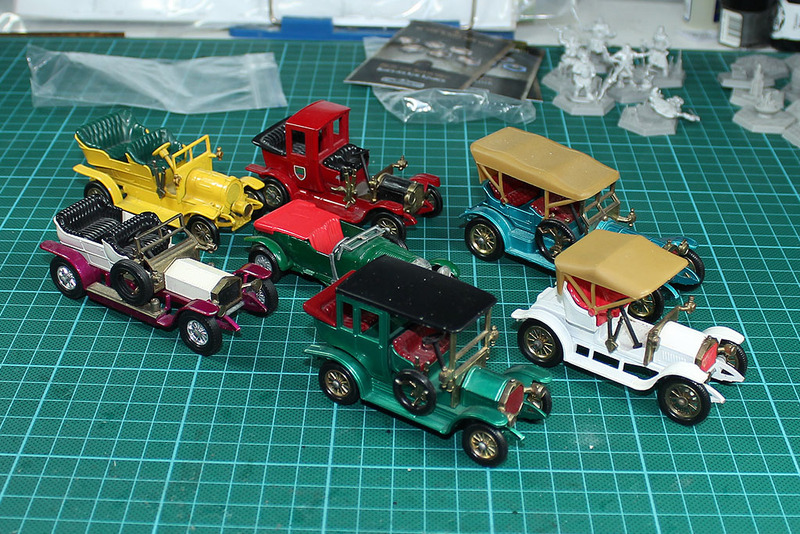 This range is heavily focussed on vehicles from 1910 - 1930. A perfect source for World War 1, Inter-War, World War 2 und Pulp Settings, either as terrain or actively used as car pool. 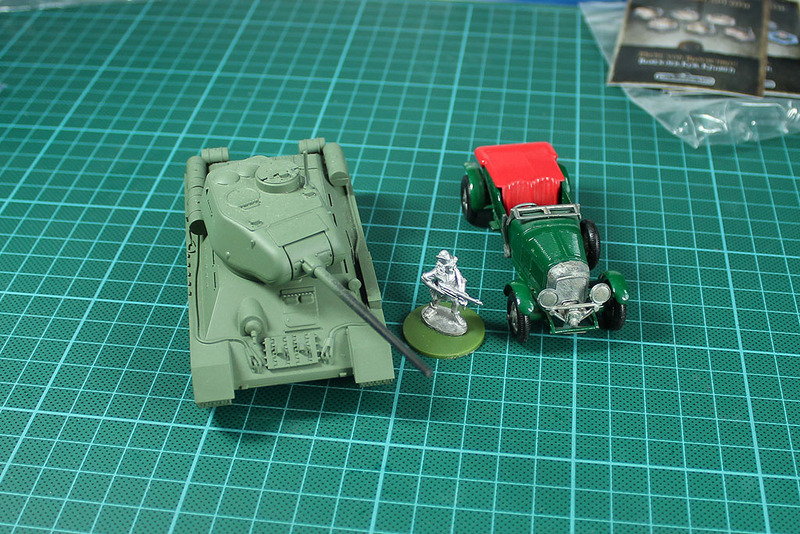 Although the scale is 1:43 and not 1:56 - 1:60 / 28mm, it fits quite well, as the picture with Mrs. La Resistance from Warlord Games shows. 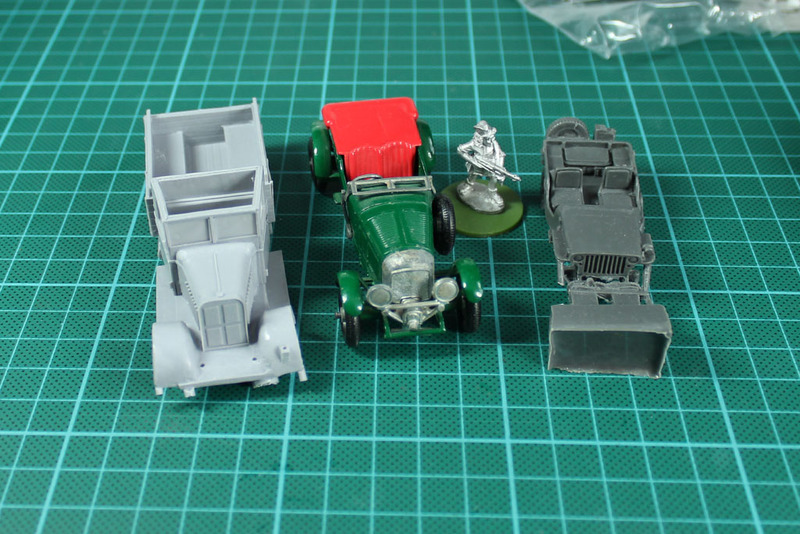 In addition, some comparisons with a T-34-85 from Warlord Games, the Hispano Suiza from Minairon and some closer to civilian use cars, like the Truck and Jeep, again from Warlord Games. All of them 1:56 / 28mm. 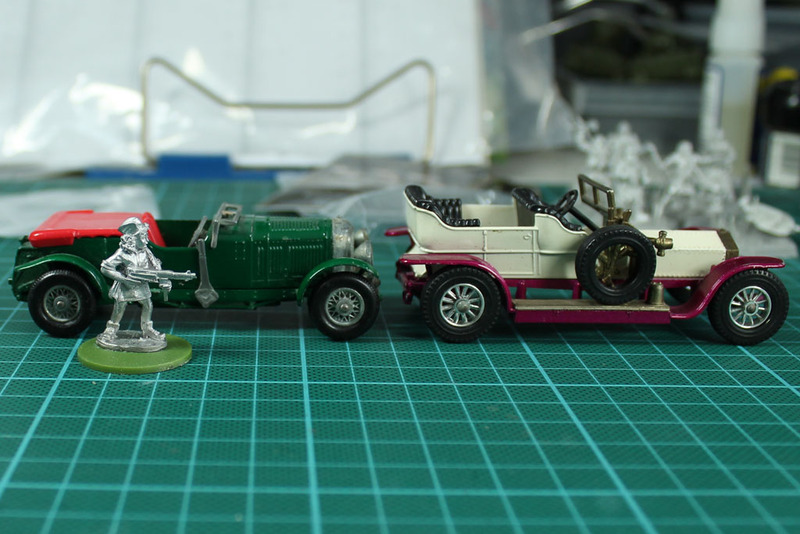 So the cars will be used as transporters for my spanish Bolt Action army as well as some Back and Beyond scenarios. The damaged ones as terrain. I am still looking for some fancy saloon mercedes cars, that i can used for high level Wehrmacht officials as an scenario objective. Next up, some toying around with ideas in my mind. 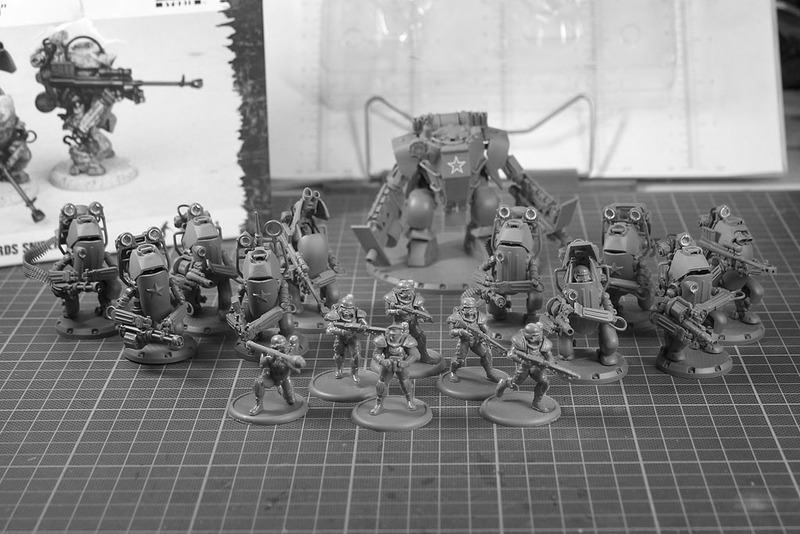 Adding up some Dust and AT-43 miniatures to the Eisenkern for heavy troops. The steel guard makes a perfect addition as a heavier amoured troop choice and fits quite good in my opinion. 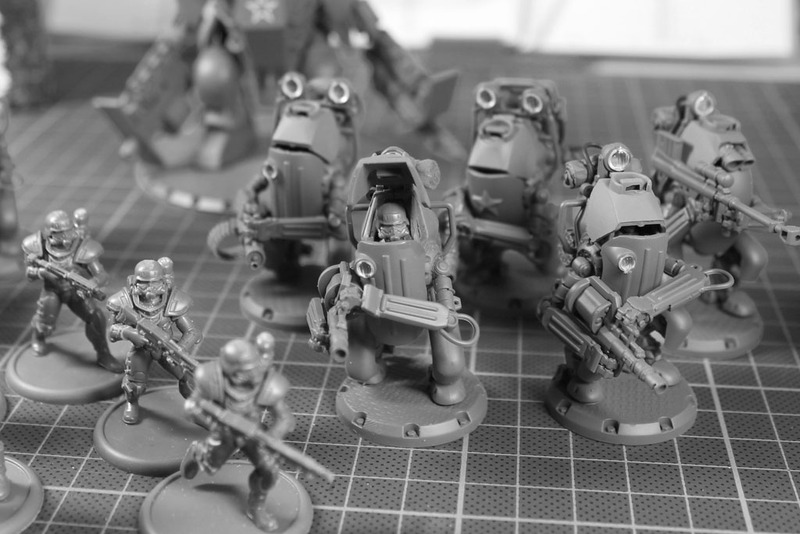 And on top of that, even heavier armoured the AT-43 miniatures. 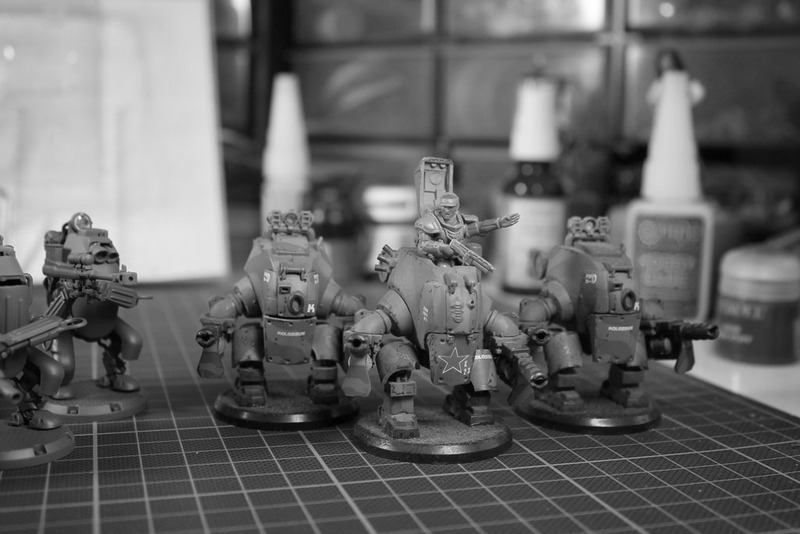 Currently just mock ups, so a bit more and finer kit bashing ahead. The idea wasn't entirely mine, i had a great inspiration over at The Dwartist. Have a great remaining sunday and good game this evening.